After a long day of dance rehearsals this was my ultimate best friend. I would rub it into my aching legs and feet, and it was like an immediate pick-me-up. It was cooling and soothing at the same time, it felt so good! 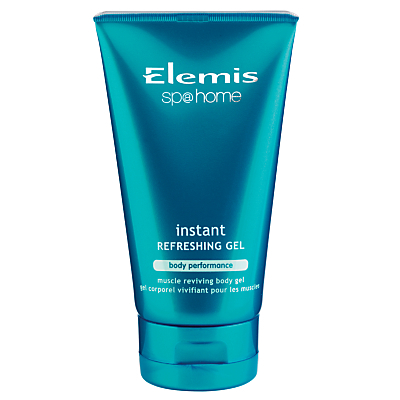 Although after dancing you do tend to get blisters on your feet – beware you don’t get this gel on them as it hurts – trust me! But this gel isn’t made just for dancers of course, it’s for anyone with aching muscles. I now use it regularly on my upper back and neck. The gel consists of arnica, birch, witch hazel, camphor and menthol, the smell is almost as refreshing as the feeling it gives. I have also been told that you can use it on the temples and across the forehead to relieve tension. It is also an ideal product to take when travelling to pep up tired legs. www.timetospa.co.uk – Elemis UK website. www.gorgeousshop.co.uk for £23.60 with free delivery! An outstanding 10 lipsticks out of 10.